Businesses wear many hats. One of those hats is a black fedora due to all of the ‘spying with their little eye’ that they do in order to forge ahead of the competition. Indeed, spying on your competitors is a well-known practice, also more formally known as competitor (or competitive) analysis. This practice can be broadly described as an analysis of what your competitors are doing right, and, of course, what they could be doing better – a practice innately tied to your bottom line. Competitor analysis can provide a lot of different types of data that businesses can use to their own advantage, from keywords to traffic to social media, content and, of course, backlinks, the topic of this article. But first, why is checking backlinks, or more precisely your competitor’s backlinks, important? At the end of the day, backlinks remain among Google’s most important ranking factors. SEO industry studies list backlinks as one of four of the most important ranking factors (for interest sake, content, mobile optimization and other broad technical factors were the other three most important ranking factors). Going back to backlinks, the point is that they remain highly important. Of course, there are a lot of methods out there to earn backlinks, like the Skyscraper Technique – many of which you have probably tried before. If not, we have detailed the Skyscraper Technique on our blog before, which you can read here. It is also a great source for those new to SEO in general. In any case, all of these methods can generate solid backlinks, but there is arguably an even better way – that is, spying on your competitor’s backlinks, and in particular, replicating those backlinks. One of Neil Patel’s clients used this method and got 20 percent more backlinks back to their website. If you use this method, you can actually get to page one of the SERPs for more than one of your keywords. Not only will method generate results and allow you to increase your position in the SERPs, but is also saves you a lot of time. Type in any keyword on Google. The top results in the SERPs all have one thing in common: an outstanding backlink profile. After all, that’s why they gained their position so high at the top of the SERPs in the first place. With great backlink tools that provide insight into your competitors’ backlinks, you simply need to mirror their results. On top of it, you’ve allowed all of your competitors to do the heavy lifting, while you sit back and enjoy the success of it all. This process, for all intents and purposes, is called backlink mirroring. If you can combine the backlink power of all of the websites at the top of the SERPs, you are going to gain a big competitive advantage. The key, however, is to ensure that you don’t mirror bad links that could result in a Google penalty. An added benefit is that this technique is very easy to replicate for anyone new to SEO. Some of these backlinks tools also give you insight into any broken backlinks so that you can implement a broken link strategy, another technique you can use when you spy on your competitor’s backlinks. In short, checking backlinks provides insight into opportunities for generating more quality backlinks to your website – an essential component of ranking. But, don’t worry – we will get to that in later sections. All you need to know is that backlink mirroring is one of the best ways to generate quality backlinks without a lot of effort on your part. There are a few backlink tools out there that will help you to do this, which we will discuss now. You won’t need all of them – this is meant to be a general overview of what tools are available. Some backlink tools are better for beginners while some are better for those with a more advanced background in SEO (we will point out which ones). We will also mention a couple of other tools that are good for keyword research. A quality backlinks tool, like the ones that you will find on this list, is an absolute necessity for businesses. Ahrefs is your one-stop-shop when it comes to competitor analysis, offering 12 tools in one, including Site Explorer, Content Explorer, Rank Tracker, Crawl Report to name just a few. Their Backlink Checker is what you’re going to want for the purposes of spying on your competitors. In short, Ahrefs allows you to do just about anything you would want to do in terms of backlinks, from discovering link building opportunities to keeping an eye on bad links. With access to 12 trillion links, this tool is the largest backlink index in the industry. It’s also updated every 15 minutes, providing you with link opportunities whenever you want them. It gives you insight into just about everything your competitor is doing, at all hours. Another feature that sets this backlinks tool apart is its Backlink Alerts feature. You can set up backlink alerts for each of your competitors, which will send out a weekly email of any new backlinks on their site. As such, it allows you to mirror those links almost immediately. Its broken backlinks tool also makes it possible to analyze all of your competitors’ broken links in order for you to create a broken link building strategy. It also gives you a look into the competitor’s recurring link sources, unlike other backlink tools. This doesn’t even begin to scratch the surface of the backlink capabilities of this tool. In the meantime, you can read this article about the actionable ways to get more backlinks by spying on your competitors using this exact tool. Moz’s Open Site Explorer is another one of the best backlink tools out there, one commonly used by Neil Patel and many other marketers. It’s also easy to use, making this a great tool for beginners. For example, to see your competitor’s backlinks, all you need to do is enter their URL. Another great aspect of Open Site Explorer is the amount of data it generates. This tool allows you to follow all of your competitor’s backlinks, similar to Ahrefs, determine other link building opportunities and keep an eye on any potentially damaging links. Open Site Explorer also allows you to compare your own links with five of your competitors. Advanced reports are also available for those who want even more data. Whereas other tools that you will find on this list focus on a lot of different aspects of competitor analysis, from keywords to content and backlinks, Majestic is primarily a backlinks tool, allowing you to download the backlink profile of your competitors and use it to mirror their strategy. However, is also provides other important information and it does so in a lot of detail, making Majestic one of the most comprehensive tools on this list. It offers data on your own site, and the ability to compare it with your top competitors, too. This is a solid backlinks tool and one that comes highly recommended. Think of SEMrush as your one-stop-shop when it comes to competitor analysis, covering everything from SEO to paid traffic to social media as well as content and PR. It hails itself as the “all-in-one marketing toolkit” and, indeed, it offers just about every tool you would ever need. It currently has one billion users and is also used by some of the top companies in the world, including Disney and Amazon. In terms of its backlink capabilities, it allows users to conduct a deep link analysis, understand DA, check backlink types and more. If you are looking for the best competitor analysis tool, this one is definitely it. SpyFu isn’t necessarily a tool for spying on backlinks as much as it is a tool for viewing your competitors’ keywords. However, keeping tabs on this data is just as important. Knowing this information will give you an idea of what keywords to target on your own website, that is, which keywords deliver the most traffic. Armed with this top secret information, you can then improve your own keyword research and use it rise in the ranks, possibly even outrank your competitors altogether. The fact that SpyFu tells you your competitors’ most profitable keywords is also a major selling point. In short, SpyFu will show you every keyword that your competitors have bought on Adwords, as well as their organic rank and every ad variation in the last decade. This tool will also help you to get rid of any bad keywords that simply aren’t performing. SpyFu is a tool that is better for those who have a more solid understanding of SEO, but a benefit is that it is one of the least expensive spying tools on the market. Ultimately, you can’t go wrong with any of these options. But, choosing a backlinks tool is only half of the equation. You also need to know how to how to put this backlink mirroring into practice, which we will go into briefly below. This method will discuss the backlink mirroring strategy. As mentioned above, you can also use the broken link strategy. The first step is to determine who your competitors are. A good rule of thumb is to start off with two so you don’t get overwhelmed. Don’t know who your competitors are? A simple Google search of your product or service should do the trick, but you can also use Ahrefs’ Competing Domains’ Report, which will tell you what sites are ranking for similar keywords. When it comes to the backlink mirroring method, the second step is to get a copy of your competitors’ link profiles – that is, a list of all of the backlinks that they have. One way to do this is with Open Site Explorer. Simply copy and paste your competitor’s’ URL into the search function. Then, scroll down the list to see the results under the Inbound Links heading. Writing down 5 to 10 of your competitor’s links (10-20 in total) is a good place to start. Ensure that you’ve selected the best possible links by paying attention to domain authority (DA) and page authority (PA). The next step is to do a link profile audit. You should already be doing this for you own site, and it works in the same way. This tip comes courtesy of Neil Patel. In fact, Patel also offers a great guide to conducting backlink audits in general (however, you can stop at the ‘Check for Link Penalties’ step). This will generate a list of healthy backlinks to strategically replicate. The final step when it comes to checking backlinks is to copy your competitors’ backlink strategy those backlinks. Whether they generated a backlink from writing a guest post or by commenting in a forum, you want to try to do the same thing – i.e. also submit a guest post to the site or also post a link in that same forum. You get the idea. 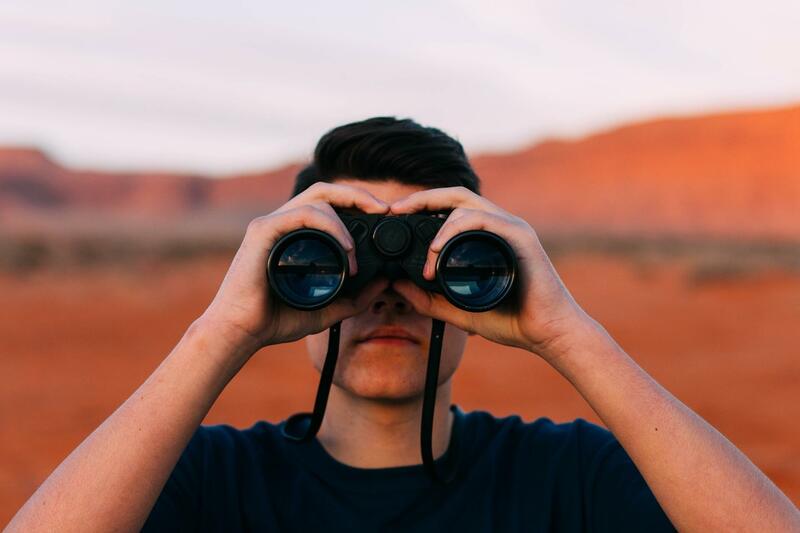 Spying on your competitor’s backlinks allows you to gain more linking opportunities and in the case of the backlink mirroring strategy, replicate the exact same strategy your competitors used to rank without having to do any of the hard work. There is no doubt that SEO is a lot of work. That’s why Yocale is here to help, giving you the tools to power your business the smart way. Yocale, which offers best free scheduling software on the market, also offers numerous other business tools in addition to our free scheduling software to help you increase your online visibility via our Google-optimized mini-website. For more information, click here.